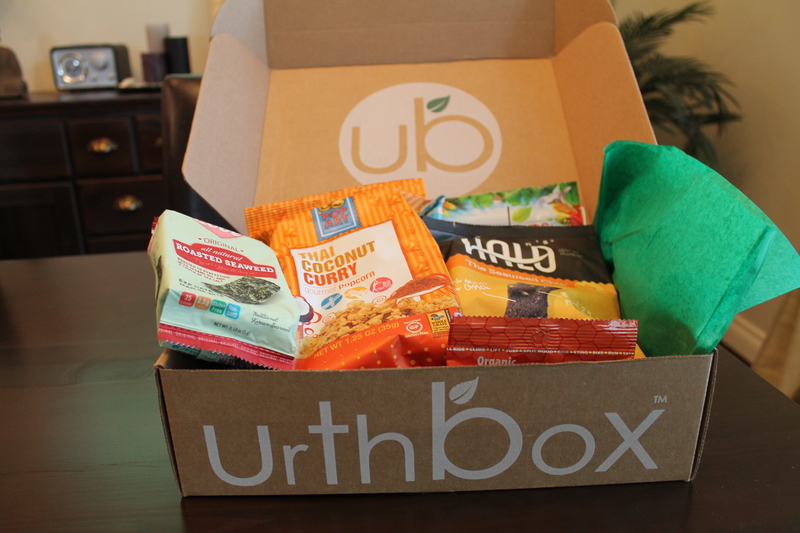 I had recently decided to try one of the snack subscription boxes and Urthbox seemed like an interesting one to me. You can choose from 3 sized boxes (small 7-10 products, medium 12-15, or large 20-24) then you can select the type of box (Classic, Vegan, Gluten Free, or Diet) and the length of time you’d like to commit to. I chose the Classic medium box for 3 months. Here’s what came in July for my first box. I am not sure why they included these two products. 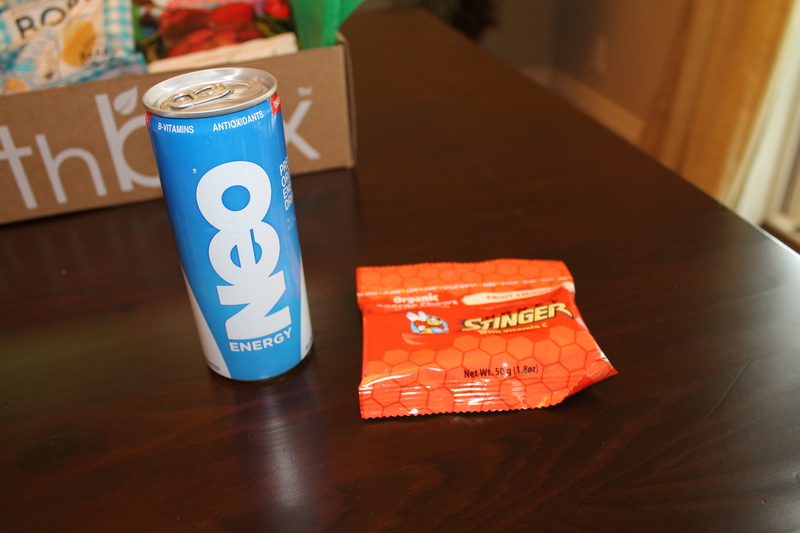 One was an energy drink that had organic ingredients, and the other was what my husband referred to as “trucker candy” that you see in truck stops. Just because there are organic ingredients doesn’t mean something is good for you. I cut caffeine out of my diet a while back for health reasons and would not ever ingest either of these products so in the trash they went. I’m excited about the snap peas, the baked chips and the popcorn. Last night I tried the roasted seaweed (disgusting! ), the seaweed chips (also disgusting!) and the beet chips (didn’t disappoint with disgusting) and promptly threw all three of those in the trash. I can’t stand the smell of seaweed, because it reminds me of the disgusting stuff you see washed up on the beach. It tasted like it smelled. The thai coconut curry popcorn was interesting. Not something I’d purchase again, but interesting. Then there were these drink items. 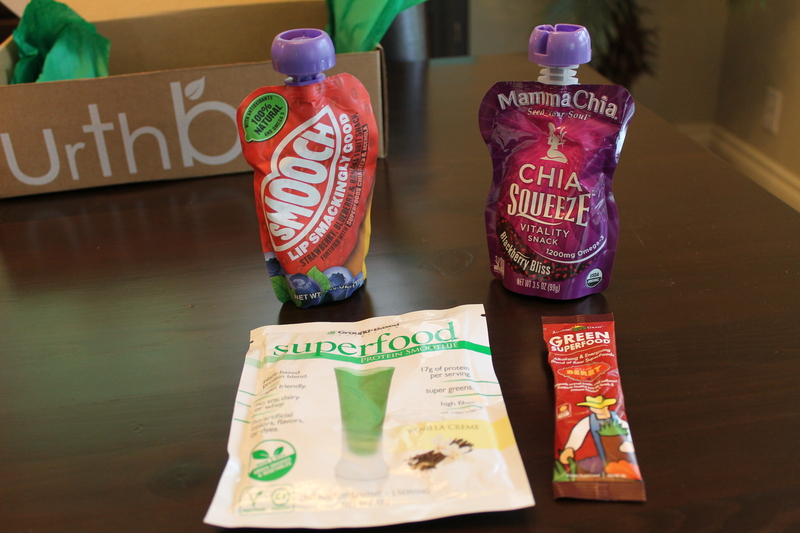 I tried the Mama Chia squeeze pouch last night to wash away the taste of all the seaweed and beets, and it was pretty good. I’ve been on a chia seed kick lately so I liked that one. I might have the protein smoothie mix for breakfast some day. I’m not sure about the small packet of drink mix because it was loaded with chemicals. Again, yes it had some organic ingredients, but it was loaded with a ton of weird stuff too and I just don’t need all those excess ingredients. I’m trying to eat more “real” foods. 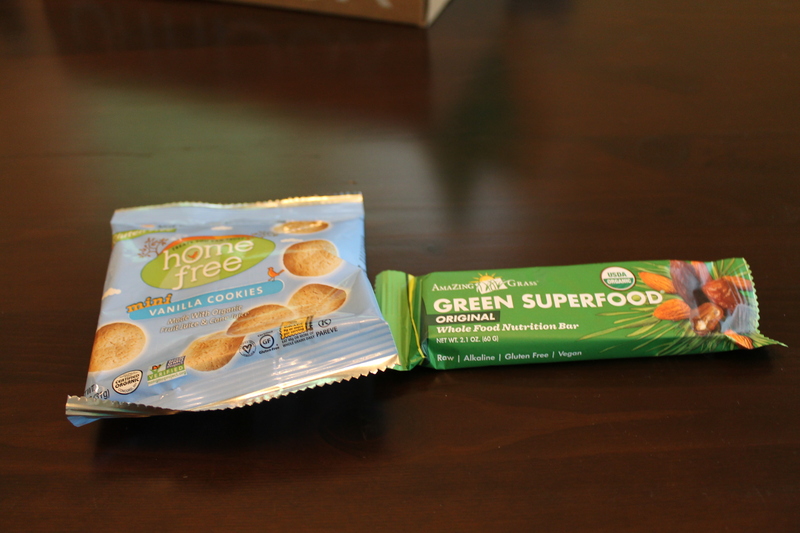 I’m not sure about the “nutrition bar” but I’ll give it a try, and the vanilla cookies were pretty good. I can get excited about cookies. 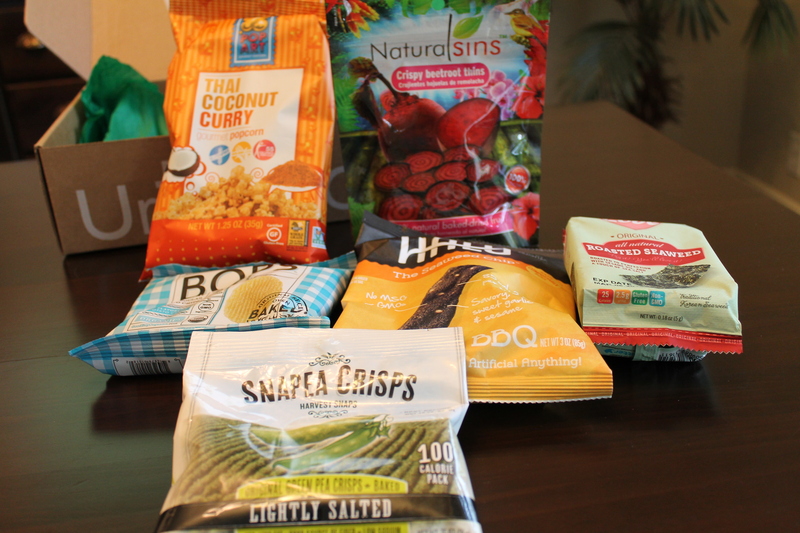 So overall, there were 14 snacks; 2 that I threw away right out of the box, 4 that were disgusting, 2 that were okay, and 6 more to try. Since I got a good deal on Gilt I don’t mind, but I’m not sure I’d pay full price for this subscription. We’ll see what August and September bring.